Scripture reveals that the great business of life is to glorify God by enjoying Him forever. In this paradigm-shattering classic, newly revised and expanded, John Piper reveals that the debate between duty and delight doesn't truly exist: Delight is our duty. 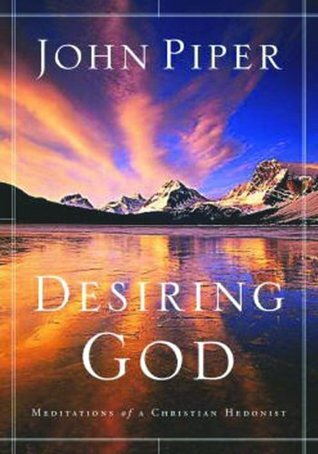 Readers will embark on a dramatically different and joyful experience of their faith The pursuit of pleasure is not Scripture reveals that the great business of life is to glorify God by enjoying Him forever. In this paradigm-shattering classic, newly revised and expanded, John Piper reveals that the debate between duty and delight doesn't truly exist: Delight is our duty. Readers will embark on a dramatically different and joyful experience of their faith The pursuit of pleasure is not optional. It is essential. Scripture reveals that the great business of life is to glorify God by enjoying Him forever. In this paradigm-shattering work, John Piper reveals that the debate between duty and delight doesn’t truly exist: Delight is our duty. Join him as he unveils stunning, life-impacting truths you saw in the Bible but never dared to believe.